Free trials of the bestselling professional creative apps Affinity Photo and Affinity Designer are now available for Windows users. 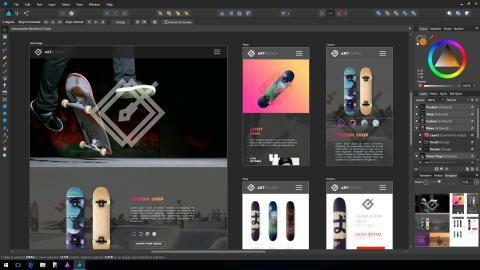 Affinity Designer, the #1 bestselling professional design and graphics app for Mac, is now available to buy for Windows. The fast, precise and feature-rich vector design tool has consistently been the top paid-for design app on Mac since launch.